For running a business, insurance is an essential part. Though many businesses overlook, it should be an important part of your business plan. Otherwise, after disaster strikes, you will be left only ashes. 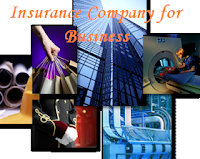 Many insurance companies are in the business around you. Therefore, before starting to dance with one, consider some important aspects to determine whether it is the best partner. At first, compare price of the several companies’ quotes. You can save a comprehensive amount over the years by picking up the best price. Take help from websites that compare insurance quotes. Careful about setting the excess; a really high amount will lower the monthly premium but a set excess will increase the monthly premium. Make sure that you will be able to cover the excess in the event of a claim if you choose a higher excess to lower your monthly expense. Read, you must, the fine print of any insurance contract. Then consider the service the company is offering. Offers of different companies vary greatly. Choose the company that is in the business, with reputation, for more than a decade and have a trustworthy track record of handling all the claims responsibly and sensibly. Good company may claim a high monthly premium but they are reliable and take it in consideration. By choosing a company you are transferring all your business risk in the hands of the company, so the cost should worth it. And at last but not at the least is stability. Due to the present economic malfunction, insurance companies, like many other companies, falling over everywhere around the world. It is alarming. Unfortunately and unconsciously, by giving the your company’s insurance security to a company that is going through insecurity and have already filed a bankruptcy, simply, you and your company will be in much greater trouble. Research, research and research to avoid such hard-luck and suffering in future. Choose a company that is financially firm. Not the cheapest but the best option is employing a third party, a certified financial advisor or an independent broker, for assistance. Professional help is recommended if your business risk is more unique than the traditional one; other wise you can go with your own direct insurers. Avoid and ignore marketing gimmick and use your common sense. Be comfortable with the amount of the premiums you have to pay. Gather as much as information as you can and must review your policy yearly.